History: The area now known as Yamhill-Carlton was historically sustained by forestry and farming. In 1974, pioneers Pat and Joe Campbell started Elk Cove Vineyards, which produced the first commercial wine in the Yamhill-Carlton area. Location: Yamhill-Carlton is located approximately 35 miles southwest of Portland and 40 miles east of the Pacific Ocean. Climate: The Coast Range casts a rain shadow over the AVA. Additional protection is provided by Chehalem Mountains to the north and Dundee Hills to the east. The moderate conditions are perfectly suited for cool-climate grapes. Soils: Coarse-grained, ancient marine sedimentary soils, over sandstone and siltstone that drain quickly, are ideal for viticulture. Topography: Low ridges surround the towns of Yamhill and Carlton in a horseshoe shape with the North Yamhill River coursing through the center. Vineyards thrive at elevations between 200 and 1,000 feet. Focus? We have strong sense of community involvement and creating a supportive environment for all our members that addresses issues they may face. Our motto, “Down to Earth,” correctly reflects both our appreciation of the qualities in our wine derived from our special soils and parent material and the easygoing and helpful attitude that prevails in our region. Our mission statement reads as follows: To create and nurture a sustainable, world-class winegrowing community in the Yamhill-Carlton AVA by: (1) promoting the distinctive attributes of the region and its wines; (2) supporting high quality viticulture and winemaking; and (3) serving as a positive force within the local community. Identity? Rather than being a simple marketing vehicle, we stress involvement in the community at large. As an example, we are currently creating a new Future Farmers of America/Agriculture curriculum for Yamhill-Carlton High School students that will provide college credit instruction and, more importantly, another path an interested ag student can pursue for career opportunities. It is the first of its kind in Oregon. Varieties? Pinot Noir clearly is the driving force. Pinot Gris performs very well also. There are more than a dozen other varieties planted, including Pinot Blanc and Pinot Meunier. Collaboration? The AVA process on both the regional and local level was very collaborative. The results of the regional effort (all six new sub-AVAs), all being handed to the Tax and Trade Bureau simultaneously, was the first time the TTB had received multiple applications in uniform agreement. For the Yamhill Carlton AVA, our local group reached consensus quickly on the preferred historical name for our area as well as boundary lines. These are the two main requirements in moving forward with an AVA application. 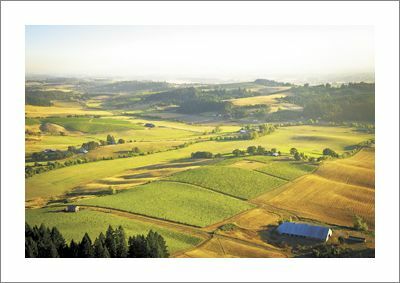 Since the creation of our AVA, we’ve developed an extremely active group called the Yamhill-Carlton Winegrowers Association. The organization has four committees that generally meet on a monthly basis. We also have two annual meetings that bring together the entire membership (61) for both informative talks and making social connections. Challenges? We have an engaged and motivated membership that is performing at a high level. Our biggest challenge may be in identifying new growers in our region. We hope to get new growers involved early in their process of development, so they can benefit from the depth of experience that already exists. Marketing? Our promotions include a professional video for the public and a video for the trade, trade and consumer events, stone monuments that serve as “gateway” signage positioned at the major points of entry to the YC AVA, hats, pens and more. We have a board member, currently Joel Kiff, who focuses on our website and Facebook page. 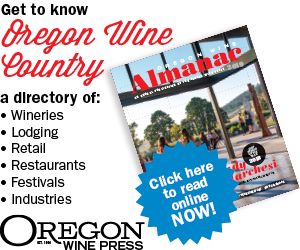 CLICK TO RETURN TO THE GENERAL WINE REGION PAGE.